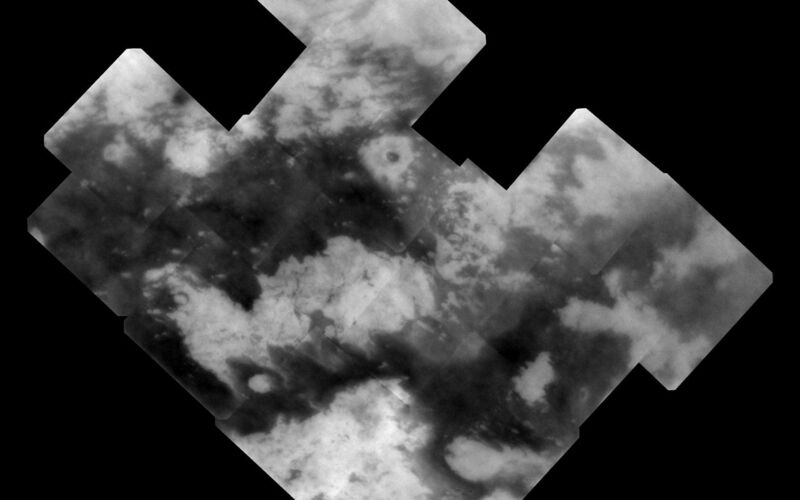 As Cassini continues its reconnoitering flybys of Titan, the imaging science team continues to improve its ability to tease out surface details hidden in the unprocessed images. 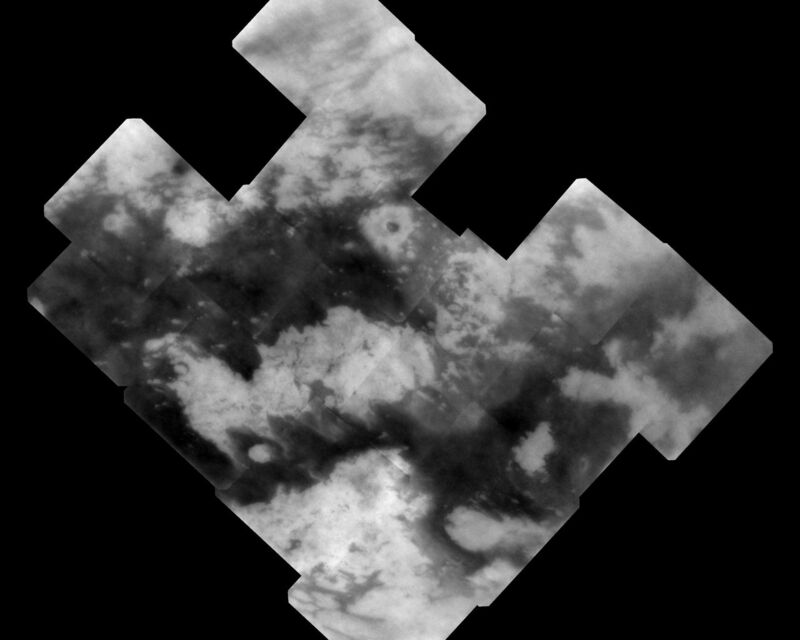 This mosaic provides the best view yet obtained by Cassini's cameras, showing terrain on the moon's sub-Saturn hemisphere -- the side of the moon that always faces toward Saturn. This mosaic has better resolution, both in pixel scale and from improved signal-to-noise, compared to previous views of the area. "Signal-to-noise" is a term scientists use to refer to the amount of meaningful or useful information (signal) in their data versus the amount of background noise. A higher signal-to-noise ratio yields sharper, clearer views of Titan's surface. The view is centered on terrain in the Fensal-Aztlan region on Titan, at 0.03 degrees south latitude, 22.18 degrees west longitude. The mosaic covers an area 3,500 kilometers (2,180 miles) north to south and 3,600 kilometers (2,240 miles) west to east. North is up. The mosaic consists of 17 frames taken using a spectral filter sensitive to wavelengths of infrared light centered at 938 nanometers. Each frame was created by combining and specially processing four individual images of the same region of Titan's surface. The frames were then sharpened to improve visibility of surface features. 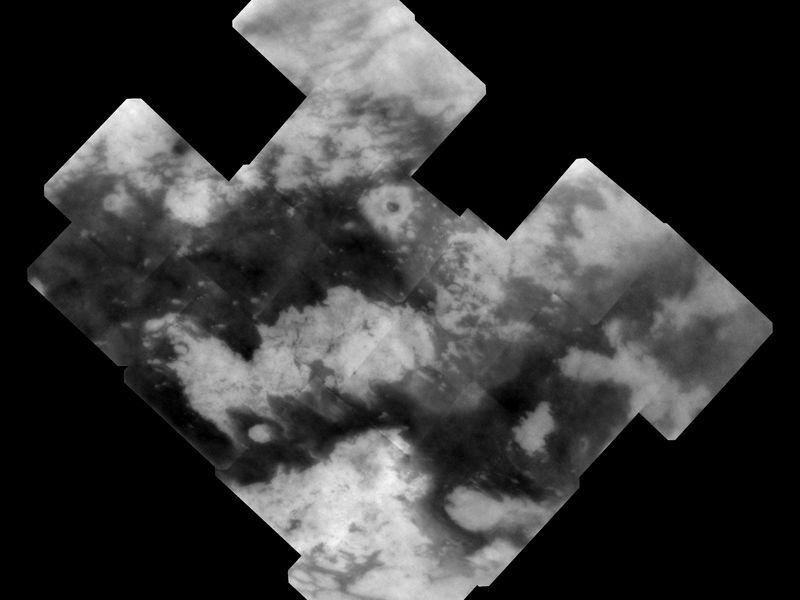 The images in this mosaic were taken using the Cassini spacecraft narrow-angle camera at distances ranging from 81,200 to 119,500 kilometers (50,500 to 74,300 miles) and at a sun-Titan-spacecraft, or phase, angle of about 25 degrees. The original image scale ranged from 470 to 700 meters (1,540 to 2,300 feet) per pixel. 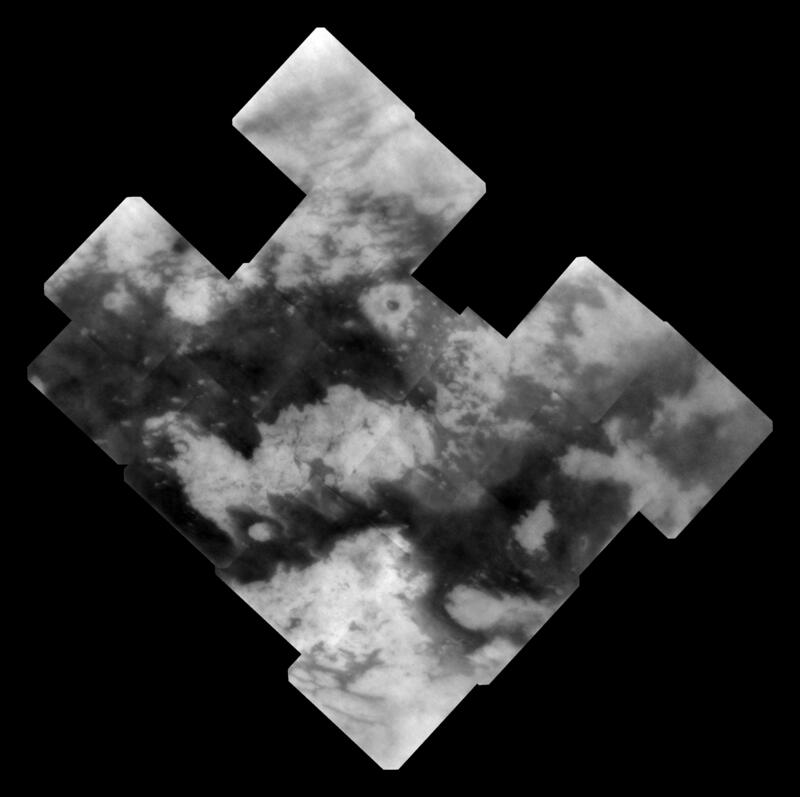 Because the actual resolution on Titan is a few times the pixel scale, this orthographic projection mosaic was scaled to 1 kilometer (0.6 mile) per pixel.